I’m not really one for doing a lot of self-portraits. I’m probably old-fashioned and believe what they used to say in the old times, that if you take a picture of someone you steal their soul. Well, not really… the truth is that I’m just shy …but I do believe that the reflection we see in the photograph is not (only) the outer image of the one photographed, but his/her soul also. Not every time and not in every photo, but I’ve seen a lot of “souls” in the images that moved me. And this doesn’t apply only to persons, but also to places, objects, nature, buildings and everything whose image can be captured on film. I do believe that if you look carefully you can see some of my soul here. Please don’t steal it. Shot this summer in Kefalonia, a beautiful Greek island with very inspiring rocks …which makes it my summer version of “selfie”. My winter version was Secret Island. 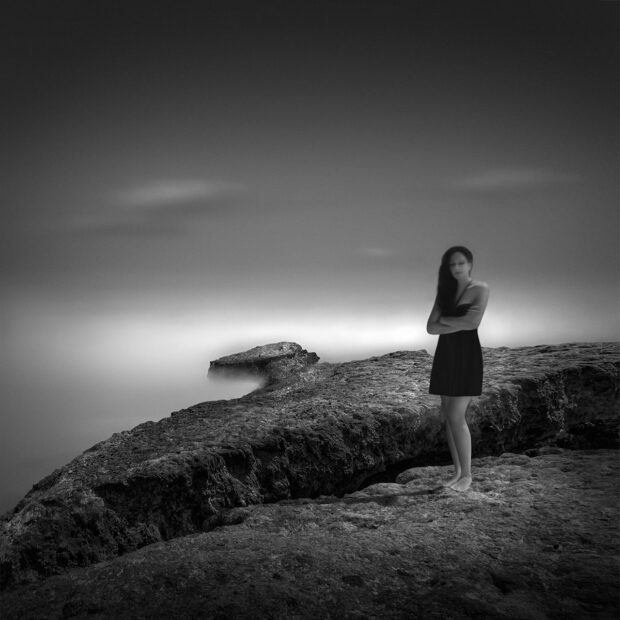 Dedicated to Nathan Wirth, whose beautiful self-portraits were an inspiration for my trying to dip my toe in this genre.